This three bedroom home is packed with features and within an easy drive to the centre of Kyogle's CBD. The kitchen includes a ceramic cook top & dishwasher, with a separate dining & lounge room all featuring polished spotted gum hardwood floors. The home also has a large air conditioner that keeps the house warm or cold all year round with complete near new wiring and insulation throughout. A covered entertainment area provides a great spot for entertaining and the covered front verandah is the ideal spot to relax and enjoy the peace and tranquility of the location. Outside the excitement begins with 5 acres of land for some cattle, sheep or a horse or 2, a variety of productive fruit trees, magnificent established gardens, a chook shed, workshop, covered car port and cement driveway. Water tanks are already in place to harvest fresh water but even more important the home is serviced by town water. The rural panorama views looking back to Kyogle are a source of joy and this property will take your breath away. 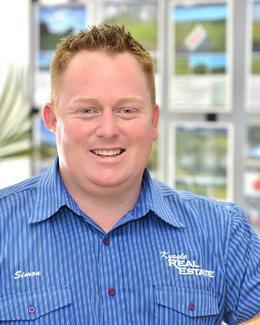 You can inspect this property today by calling Simon on 0402 706 565.